﻿"Our family loves how high-tech the office is. Dr. Melissa keeps up with the latest trends in dentistry to give us the best service." Whether you need a new filling, need to replace an old filling, would like to enhance your appearance or require more extensive treatment, our modern dental technology ensures your smile will be restored to comfortable function and beautiful esthetics. Ask Dr. Melissa about the many investments our office has made to ensure your visit is more comfortable! We are constantly striving to provide our patients with the finest dental care available. Our investment in advanced technology means a long-term investment in your future good health. State-of-the-art technology invites informed decision making, and enables patients to make wise choices concerning their oral health. Dr. Melissa Jarrell offers the latest dental technology for your benefit. Chairside Economical Restoration of Esthetic Ceramics or CEREC uses CAD/CAM technology, incorporating a camera, computer and milling machine in one instrument. Dr. Jarrell uses a special camera to take an accurate picture of the damaged tooth. This optical impression is transferred and displayed on a color computer screen, where we uses CAD (Computer Aided Design) technology to design the restoration. Then CAM (Computer Aided Manufacturing) takes over and automatically creates the restoration while you wait. 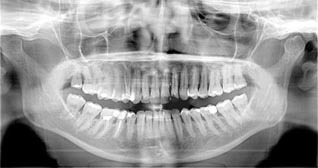 X-rays assist in the detection of cavities between the teeth that may not be visible in the mouth. Cavities that are just beginning can also be detected earlier on an X-ray so your treatment becomes less invasive and less costly. At Family and Cosmetic Dentistry of Kokomo, we use digital radiography, a computerized process. Until recently, having dental X-rays taken was an uncomfortable, cumbersome procedure, and it would take up to 10 minutes to develop the film. Now, all we do is place a sensor next to your tooth, and within seconds your X-ray is displayed clearly on a computer screen. Because of the brief exposure time, the amount of radiation is reduced by up to 90%. This digital process is highly efficient; too, because once the X-ray image is on our screen, we can enhance it for a more accurate diagnosis, save it for instant retrieval, and send it to insurance companies or dental specialists. Keeping you comfortable during your treatment is one of our top priorities. That's why we've invested in an anesthetic delivery system called the Comfort Control Syringe. This precision delivery technology allows us to provide you with a continuous, steady level of comfort, and its disposable cartridge sheaths mean a safe, sterile procedure. Even the most carefully trained professional would find it tough to administer medication as accurately as the Comfort Control Syringe's pre-programmed system. That's why we like its special delivery: we simply determine ahead of time the particular amount of anesthetic you'll require, and let the system control the rate of delivery. This gives us the freedom to concentrate on carrying out your procedure, while still monitoring the rate and timing of each injection through a digital readout. Dr. Jarrell uses Profound Pre-Numbing Gel before all injections. This is a topical anesthetic gel that "pre-numbs" the tissue before a dental injection is given. We do all we can to make the numbing process as comfortable as possible. Using photographs of your own teeth, we can create a high tech "morph" of what your smile could look like with proposed treatment. 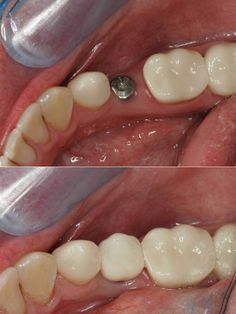 ﻿This is an example of how we can replace a missing tooth with a dental implant. Implants are a wonderful alternative to bridges and dentures because they feel and look very natural without harming the adjacent teeth. Dental implants preserve bone after extractions and prevent shifting of the teeth. Implants are a nice way to replace missing teeth and generally last a lifetime. Dr. Jarrell is proud to provide this service here in our office. We want you to be well informed about all aspects of your dental health, so we've invested in an intra-oral video camera. It's just about the size of a pen, and it allows you to see broken fillings, gum problems, and small cracks in teeth-just as we see them. This special camera lets us zoom in on one tooth magnified to 25 times actual size or we can give you a "tour" of the inside of your mouth. 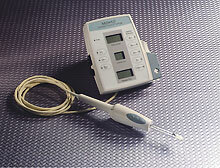 The intra-oral camera can reveal a problem while it is still relatively simple to treat. 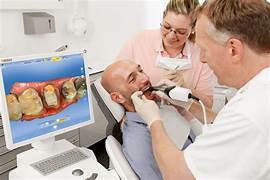 The full-color images you can view on the computer screen give you the knowledge you need to make informed decisions regarding your dental health. Our computer system is designed to efficiently manage the most complex information in the dental industry. Our system handles treatment and payment options. We make sure our computer system takes care of the technicalities so you are provided with the most up-to-date information available.